Life just wouldn’t be the same without synthetic rubber. It has revolutionized the world as we know it and is still keeping it moving today. 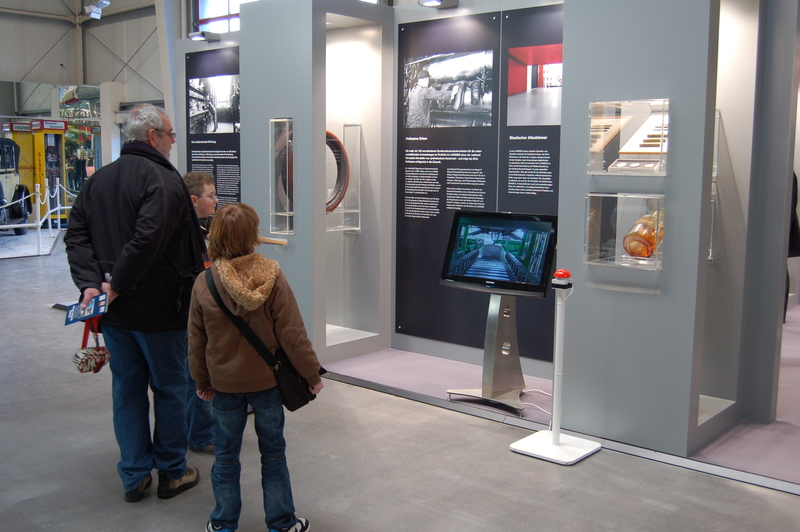 That’s why LANXESS AG and the Auto & Technik Museum Sinsheim are devoting an exhibition to this elastic all-rounder. 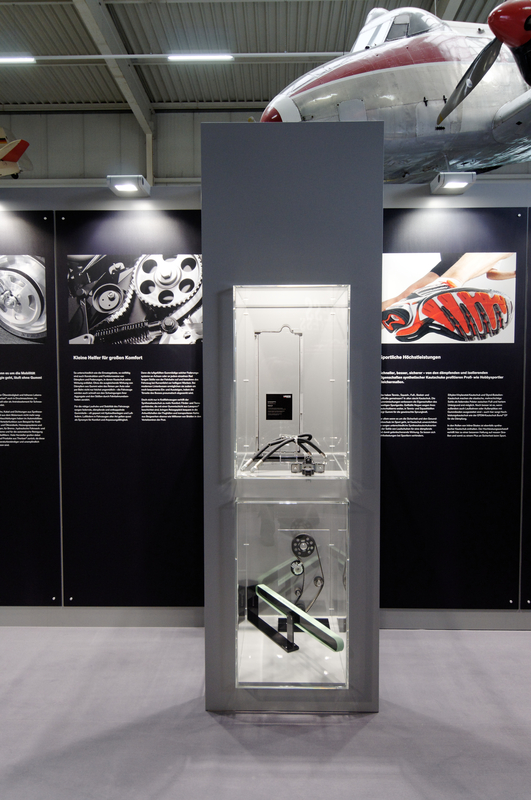 From February 18 to September 30 the exhibition will take visitors on a journey through the exciting history of synthetic rubber, using fascinating information panels and numerous exhibits such as the original sample of the first synthetically produced rubber and one of the first synthetic rubber tires. 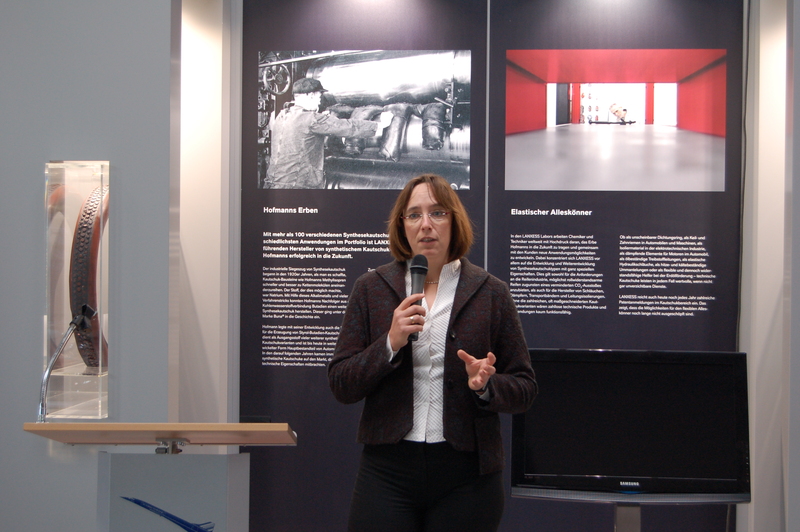 The areas of application for this material are extremely diverse, ranging from automotive engineering, the tire industry and energy generation to medicine, sports and aerospace – a further key focal point of the affiliated museums in Sinsheim and Speyer. The Auto & Technik Museum Sinsheim is Europe’s largest private technology museum. Its exhibits include legends from the history of technology on a scale that is unique the world over. The hall space totals more than 30,000 square meters and is augmented by a large outdoor area. Whether classic cars adorned by gleaming chrome, legendary aircraft, racy sports cars, gigantic locomotives or spectacular record-breaking vehicles, the museum covers virtually all types of motorized transportation. Each year, around one million visitors from Germany and the rest of the world travel to Sinsheim to view the exhibition and its over 3,000 items. The two biggest attractions are displayed on the roof of the museum hall – a Concorde and a Tupolev 144 supersonic passenger aircraft in flight position that visitors are free to walk around. This museum in Sinsheim is the world’s only museum that showcases these unique, series production supersonic aircraft side by side. It would be impossible to drive a car or fly an aircraft had it not been for this very first process for making synthetic rubber, which was patented by German chemist Fritz Hofmann in 1909. Tires, V-belts, toothed belts, hoses, cable sheathing, seals for engines, doors, windows and trunk lids are all applications that have become indispensable for today’s mobile world and feature synthetic rubber. Yet tires are still probably the best-known application. They are the most visible example of the success story of this innovative material that has often done its work away from the public gaze. Around 70 percent of the rubber LANXESS produces is destined for car tire manufacture. This makes the specialty chemicals group one of the world’s largest suppliers of tire rubbers. It is also a pioneer of new developments in this field. Without these, modern, energy-efficient high-performance tires would be unthinkable. They are reliable and long-lasting and ensure low tire rolling resistance. Synthetic rubber therefore helps save fuel and cut CO2 emissions from vehicles. The LANXESS portfolio comprises far in excess of 100 different grades of synthetic rubber, which are used in a whole range of applications. Chemists and technicians in LANXESS’ laboratories worldwide are committed to carrying Hofmann’s legacy into the future. In 1909, he could only guess at the significance of his invention for the modern world. His invention was initially intended as a direct substitute for natural rubber and as a means of counteracting the rising prices of rubber tree extract. But today, synthetic rubber is far more than a substitute. The engineering world uses a multitude of special-purpose rubbers for applications in all areas of daily life. Synthetic rubbers are used in all kinds of applications and remain reliable and stable even under extreme conditions. Examples of applications can also be found in the maritime sector, including flame-retardant high-performance rubber for sheathing special cables in submarines and for wetsuits, water sports suits, rubber boots and waterproof ponchos. A wide variety of synthetic rubber products are also found in the home, such as rubber gloves and door seals for refrigerators, ovens and dishwashers. They can also be found as O-rings and valve seals in taps. Even the food industry can no longer survive without this elastic all-rounder – LANXESS supplies a special butyl rubber to produce chewing gum that retains its flavor longer than natural rubber. 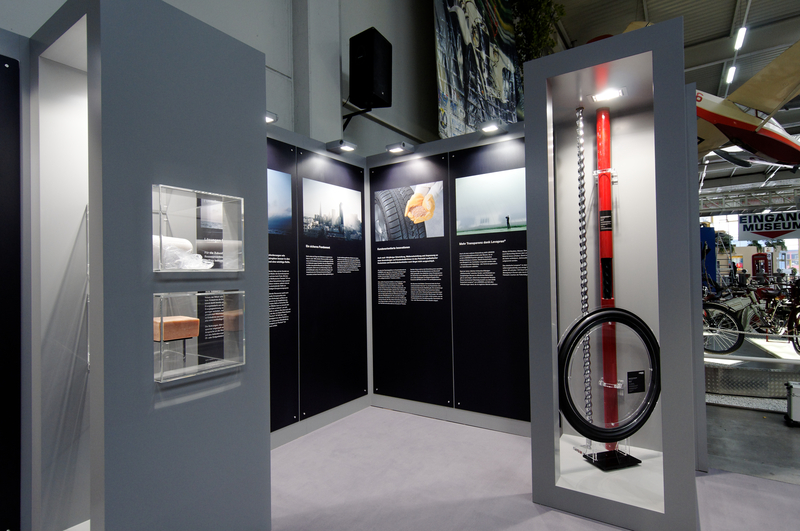 100 years of synthetic rubber – for interesting facts about the many different areas of application for this elastic all-rounder, go to www.worldrubberday.com. Life just wouldn’t be the same without synthetic rubber. That’s why LANXESS and the Auto & Technik Museum Sinsheim are staging a special exhibition on this flexible all-rounder from February 18 to September 30. Synthetically produced rubber has revolutionized the world as we know it, including in engine compartments, (sports) footwear and the aerospace industry. 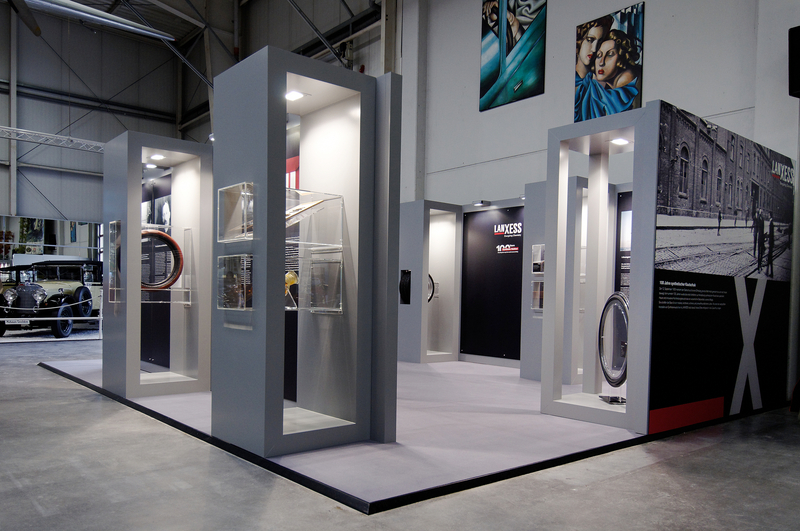 The exhibition takes visitors on a journey through the exciting history of synthetic rubber, using numerous original exhibits and fascinating information panels.